Our Best Answer - What is a Bronco Access Card? Your CPP Photo ID card is called your Bronco Access Card, and identifies you as a Cal Poly Pomona student. You can use your card to receive services on campus and, in some cases, access to buildings. For more information about the services associated with this card please visit the Bronco Access Card website. Your Bronco Access Card is compatible with card readers at most campus dining services and convenience store locations, the Bronco Bookstore, University Village laundry facilities and select vending machines. 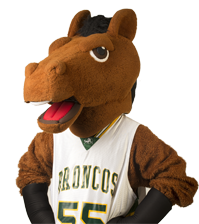 All you have to do is open a Bronco Bucks Account by depositing money into your account. It's that easy! If you are an entering freshman or transfer student, you will get your Bronco Access Card during your Orientation Program. All new and current students may also obtain or replace their Bronco Access Card at the SSB, Building 121 East, 1st Floor (Orange Counter). How do I get my Photo ID?